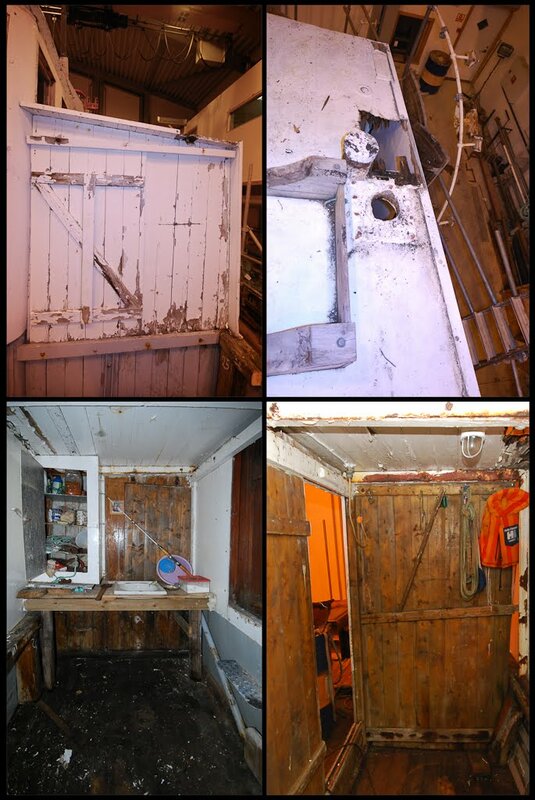 And it’s gone, the deck is still in good condition. 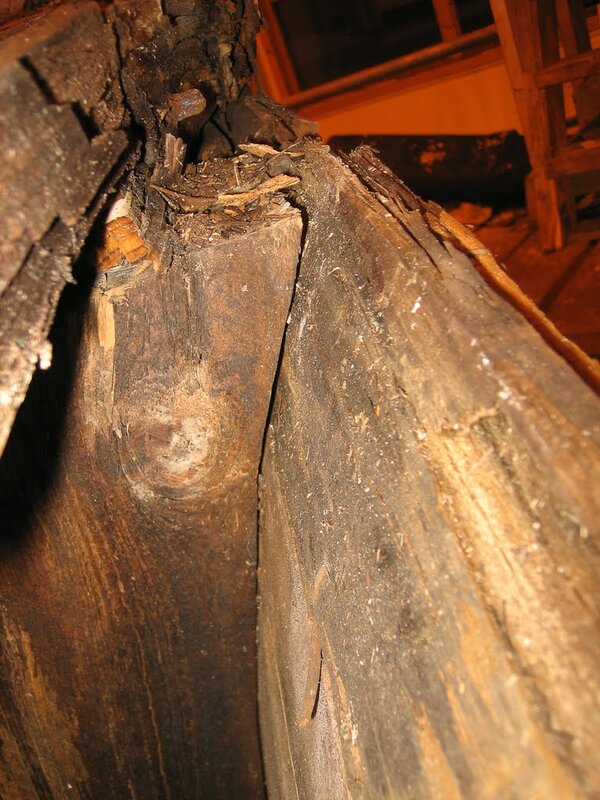 Parts of the deck were replaced some years ago but here there is no doubt that it’s old and rotten and time to replace. Under the deck some beams were also in bad shape. 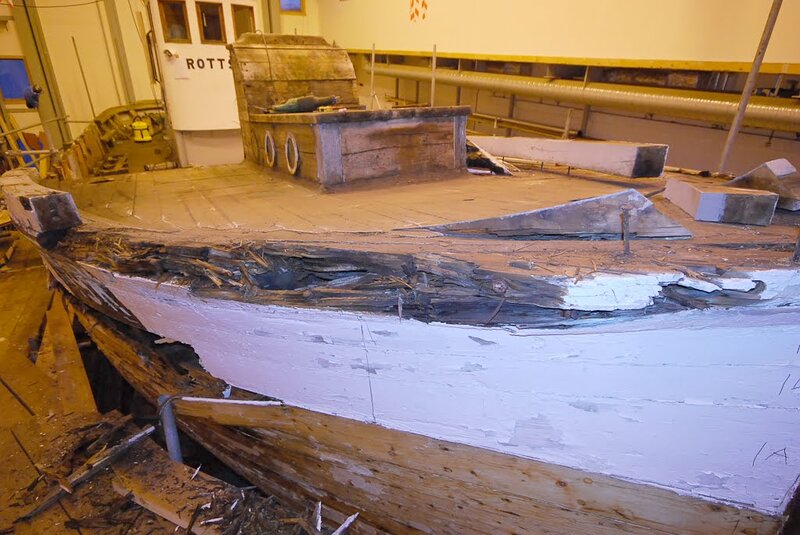 At the top of Brottsjø’s bow you can see that the last plank is sticking out. A nice detail that makes the boat a little better protected against the waves. 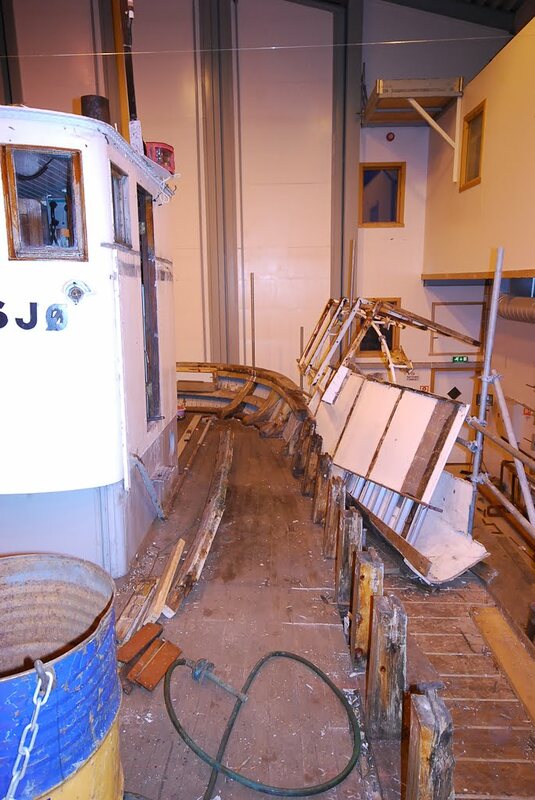 Most of the time the skin goes in a straight line on this kind og boats, so we suspected that the construction was so rotten and that the planks were pushed out. But it wasn’t, like the sketch and the next picture will show. 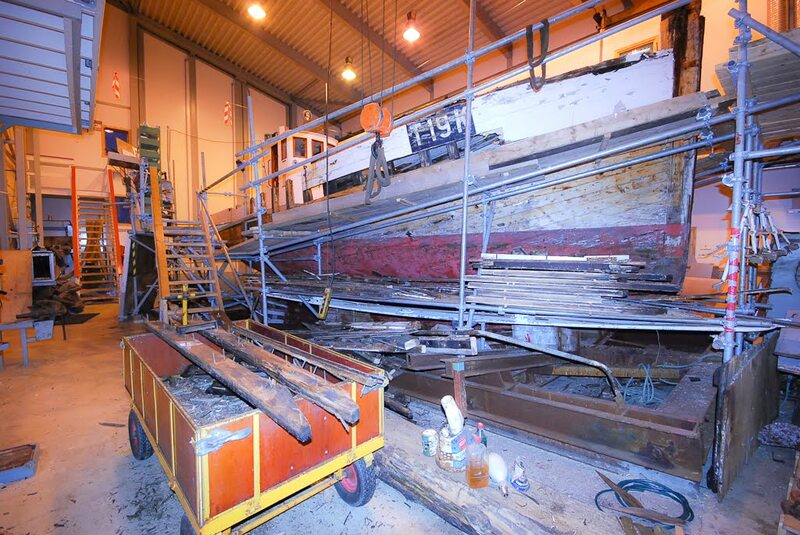 So another detail of Brottsjø we have to preserved, documented and now we have to find out why and how they made it so that later generations of boat builders can reproduce it and understand why it was done. 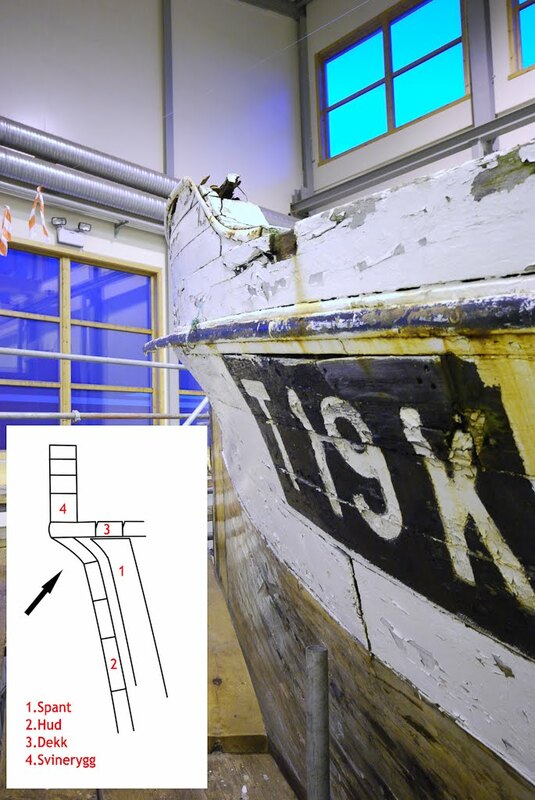 These details, important for Norwegians history of boat building will get lost if we don’t take the time for it, this is why nordnorsk fartøyversenter was founded and it separates us from a normal shipyard. We don’t have unlimited storage room but I try to keep as much from the old construction as possible even if we cannot use is any more. It can take up to 2 years before we have to rebuild sudden parts and you can take all the pictures you can and measure as much as you want but the real thing is the best if you have to copy it. With This project we also gone try to find out with every single item how it was made originally so that if we remake it we use the same materials, machines and tools, it’s another reason to save as much as possible so that we can take the time to find all of this out, and that is not easy.